Ensuring mocktails taste good is vital, but the secret to truly up-styling mocktails is in the presentation. And we’ve come a long way from the obligatory glace cherry and paper umbrella! Present glasses on vintage bird cages. 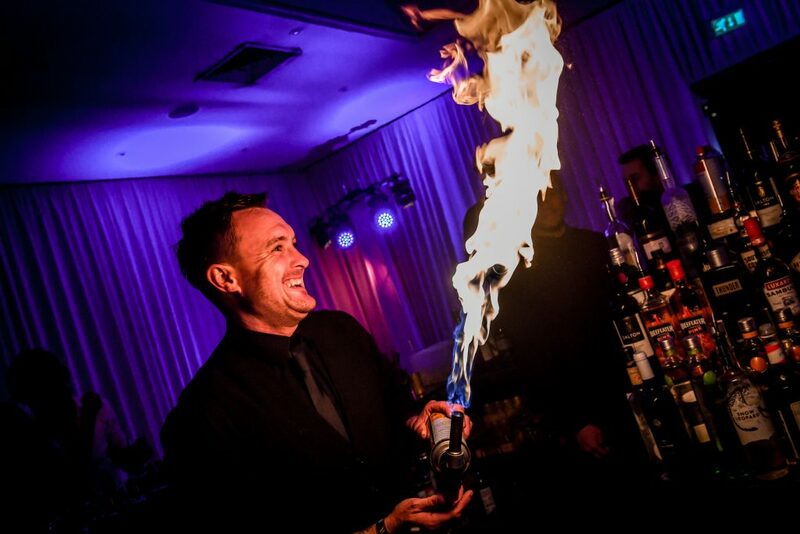 Add a little ‘flair’ into proceedings with a professional mixologist. 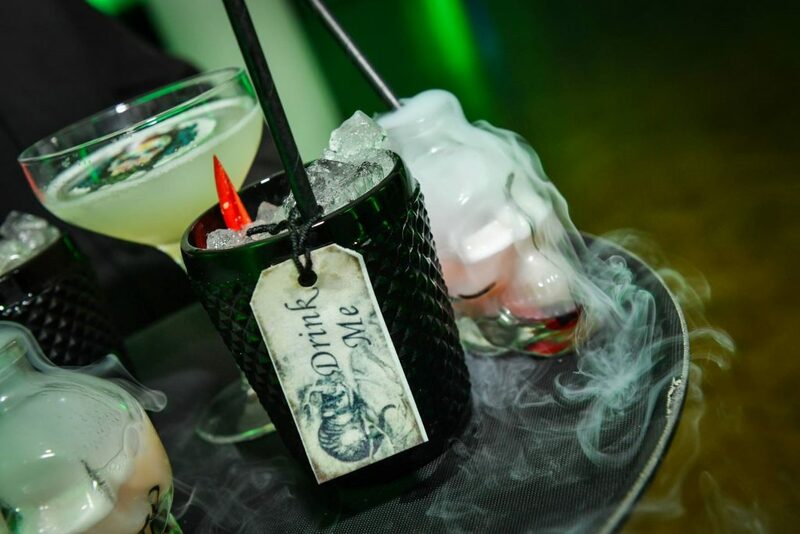 Dry ice is another sure-fire way to deliver with drama. To take it to the next level, consider how and what you serve a drink in. Clue – not just a glass. Tin cans. Miniature bath tubs. Vintage thermos flasks. Yes, I have used them all. Is there a way to tie it in with theme/ambience of your party? 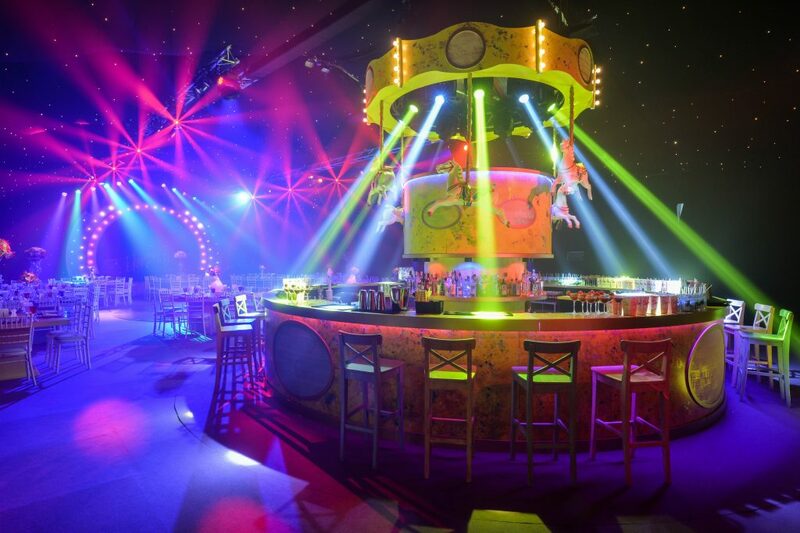 Can you make the bar itself more spectacular – integrating into the theatre of your event? Having once served ‘Fairground’ mocktails in plastic bags complete with faux fish, from a rotating ‘carousel’ bar with suspended vintage horses, I’m proof that if there’s a will (and a creative mind in the driving seat), there’s a way. If your idea of an alcohol-free gin and tonic is to just serve tonic, it’s time to up your game. 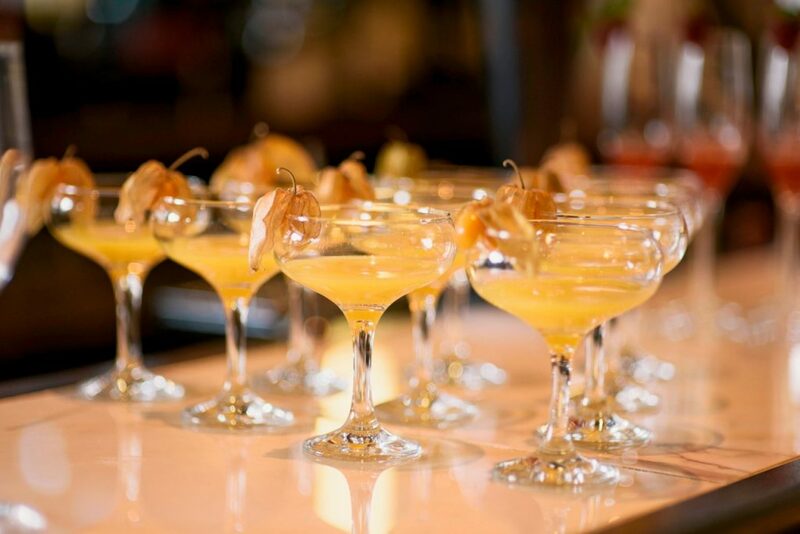 Classic cocktails are a delicate balance of flavour that can taste off kilter if simply served up sans alcohol. Regain the balance with inventive combinations of ingredients that imitate the taste of alcohol (with none of the downsides). Chamomile, cardamom, mint, cloves and rosemary mimic the botanical flavours of gin in BBC Good Food’s Gin Free G&T. Or brew up a spicy ‘mock rum’ syrup using pineapple, cinnamon and black peppercorns – a brilliant base for a virgin Pina Colada. Use a heady blend of spices to add warmth and depth of flavour to your mocktails. 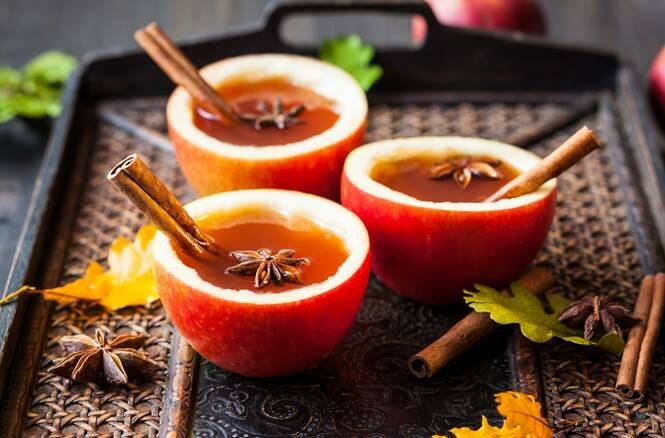 Most people love the combination of cinnamon and cloves in mulled wine or spiced apple cider – both of which can easily be made alcohol free. Irish coffee lovers needn’t miss the warming sensation you get from a hit of whiskey. Why not try sweet garam masala to spice up a latte or aromatic nutmeg and orange as a sin-free swap. 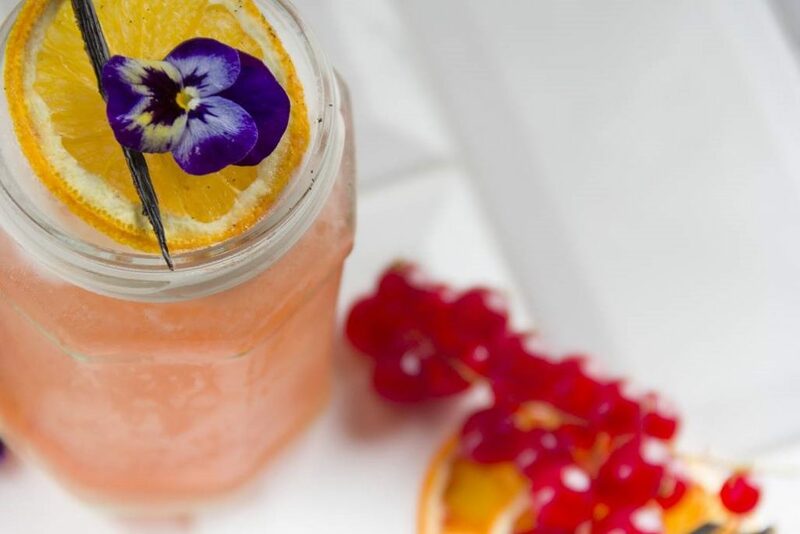 And spices aren’t just for winter drinks, the simple addition of ginger and chilli syrup would put the punch in this Summer Fruit Punch from All Recipes. We’re all familiar with adding herbs to savoury dishes but they’re currently having a real moment in the world of mixology. Traditionally ‘savoury’ herbs like rosemary and sage offset sweet flavours, infusing drinks with enticing aromas. And the flavour revolution doesn’t stop there. Bell peppers, quails’ eggs, and of course olives, are all popular cocktail ingredients – well not everyone has a sweet tooth! 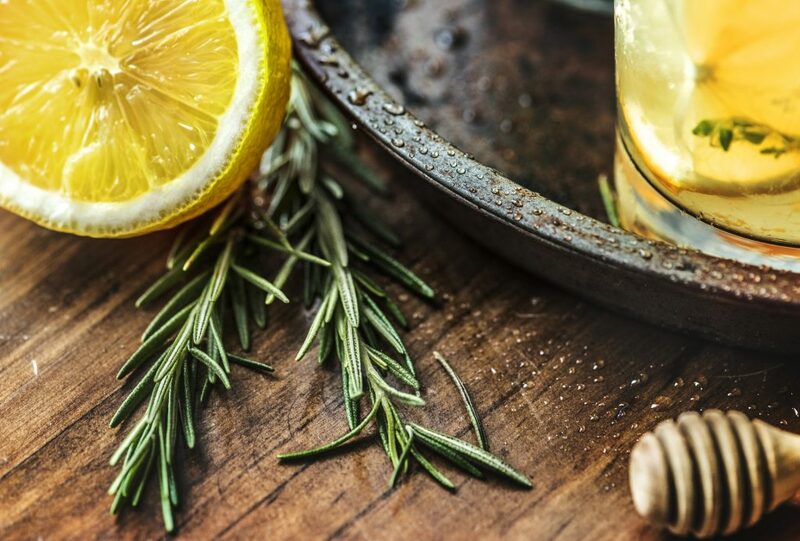 Try this refreshing Rosemary Citrus Spritzer from The Kitchen. Rosemary adds enticing fragrance to the citrus notes, with a touch of honey for sweetness. Just heaven served on the terrace in summertime. Presentation is essential when up-styling your mocktails. 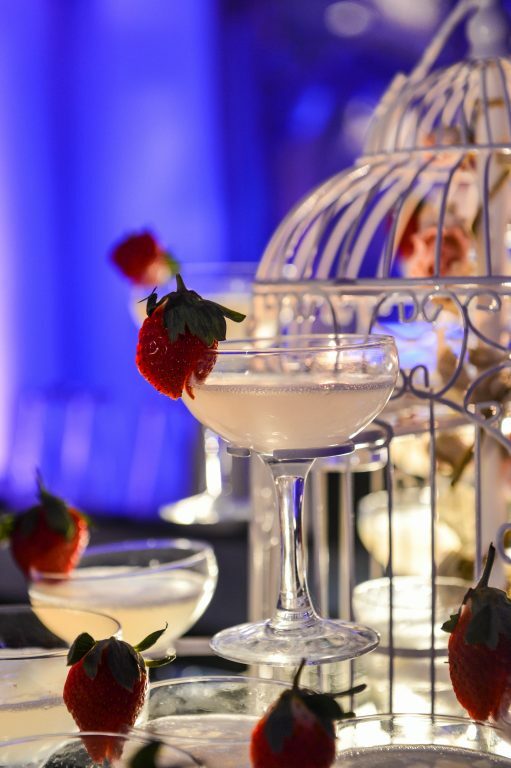 In my view, the most elegant mocktails come dressed for the occasion. Edible flowers are decoratively divine. They each have their own delicate flavour so it’s worth experimenting to find the right floral finish. Calendula, for instance, has a slightly citrus flavour. Nasturtium is sweet and peppery, where pansies are slightly salty taste. A really simple way to introduce botanicals is by freezing them into ice cubes. Alternatively, this Raspberry and Rose Mocktail from Interflora uses rose water and rose petals for a sophisticated update to a traditional raspberry cooler. We’re a nation of tea lovers. So why not host a tea party with a grown-up twist serving refreshing tea-based mocktails. The classic flavour of a mojito can be reproduced with mint, tea, lime and soda. Or combine tropical mango, ginger and lime with green tea in this invigorating Tropical Ginger Green Tea Mocktail from the tea experts at Twinings. 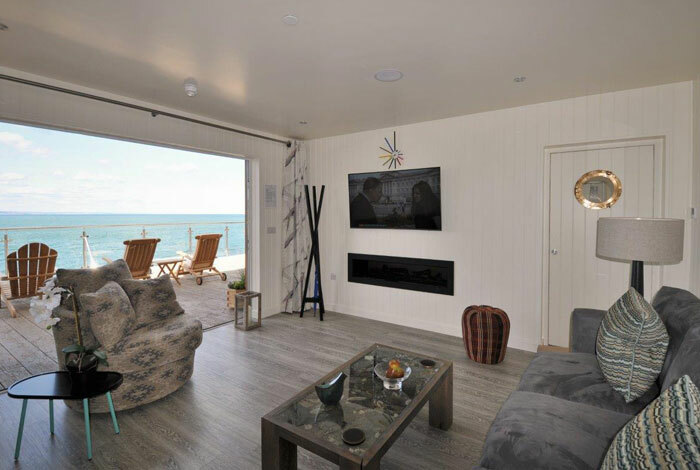 Nestled in the sheltered haven of Babbacombe Bay on the South Devon coast, the boutique Cary Arms & Spa has uninterrupted sea views all year round. And whatever the weather you can enjoy looking across the water from the comfort of a warming hydrotherapy pool, enclosed in a glass-faceted spa. As well as a luxury getaway, it is also a stunning location for an intimate celebration and is available for exclusive use as a wedding venue for up to 40 day and 80 evening guests. This Norfolk privately owned, family-run hotel is set in an area of outstanding natural beauty, with magnificent views across the estuary and salt marshes to Blakeney Point. The hotel benefits from luxury spa facilities and a swimming pool, with views over the sun terrace and south facing gardens. If you are looking to book for an event, the hotel has 60 bedrooms and conference and banqueting facilities for up to 100 people. If you are looking for something more intimate the hotel also caters for intimate dinner parties and small conference functions. Number three on our list of five luxurious UK coastal venues is great if you are looking for a grand sea view. It doesn’t come much better than this. 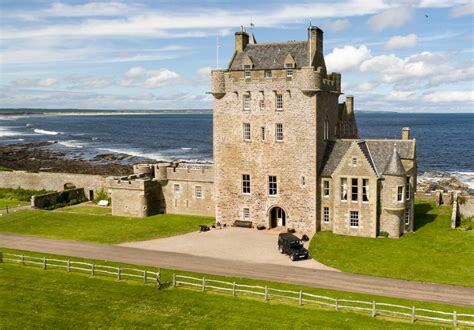 This five-star castle hotel is the UK’s most northerly Grade A listed building and has a history stretching back as far as the mid-14th century. As you can imagine much has happened in that time and the venue has plenty of stories to tell. It was lovingly restored and re-opened as a luxury hotel in 2012, with 35 bedrooms and six secluded self-catering luxury cottages across its 3,000-acre private estate. The venue is also available for exclusive hire, including the formal grounds, for weddings and other large celebrations. Its striking cliff-top location on the County Durham coast gives visions of a wild and windswept North Sea setting. Seaham Hall offers both this invigorating romantic experience and a relaxing oasis of calm. Hidden among 37 acres of beautiful landscaped gardens, this Georgian country house is a luxury, soul-nurturing experience to rival any spa facilities in the world. It’s spacious rooms and private gardens make it an exclusive party or wedding venue. Exclusive hire of the venue includes full use of the spa for all residential guests. Nicknamed the fairy-tale hotel because of its French-style turrets, this Welsh castle on the coast of Anglesey is a charming choice for the romantic at heart. At its very roots is a love story, built in 1849 by Sir John Hay Williams, Baronet of Bodelwyddan as a gift for his wife Lady Sarah, who was enamored by the 16th century architecture in the Loire region of France from which this grade ll-listed château took its architectural inspiration. 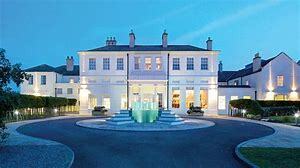 The hotel is available for exclusive hire and is a magical wedding venue at any time of year, particularly winter when the open fire roars and you can look outside the banquet hall across the waters of the Menai Strait. So whether you have been tasked with planning the company away-day, teambuilding or incentive weekend, or organising a special celebration event for friends and family, the UK coastline has much to offer. Our five luxurious UK coastal venues are the tip of the iceberg when it comes to spectacular and coastal. If these top five luxurious UK coastal venues have inspired you, take a look at more of our venue ideas, check out these Stately residences!